Wynyard Hall is a venue all about the wow factor, Situated in 150 acres of historic landscape just a stones throw from Wynyard Estate. 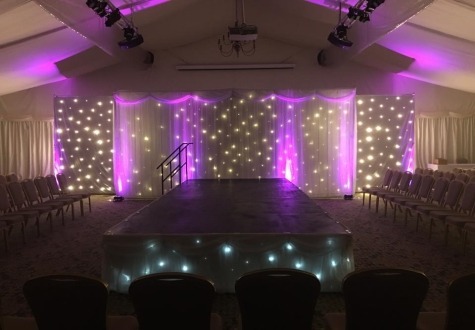 This amazing venue boasts a simply stunning grand entrance which flows throughout the venue, boasting a conservatory capable of holding 240 people and a Grand Marquee capable of holding up to 650 people. Whether it be a small intimate wedding or a large business conference Wynyard Hall can cater for you. 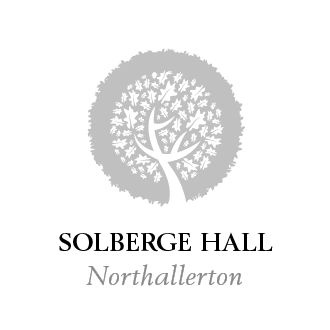 With an onsite Spa along with a AA Red Rosette Restaurant along with its breath stunning gardens there is something for everyone. 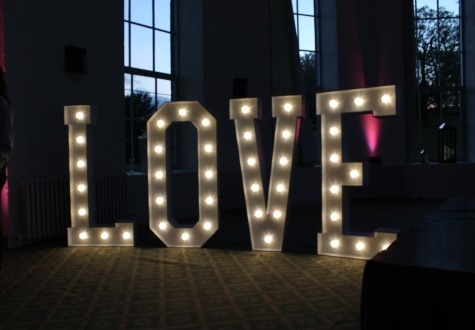 LED LOVE letters – Spread a little love with your guests with our 5ft LED LOVE letters. Campervan Photo booth – Grab some props and strike a pose in our photo booth. Up-lighting/mood lighting – Wash the Madoc Suite walls with the colour of your choice. Why should you choose Magnum Entertainment for your wedding entertainment and not a different company? 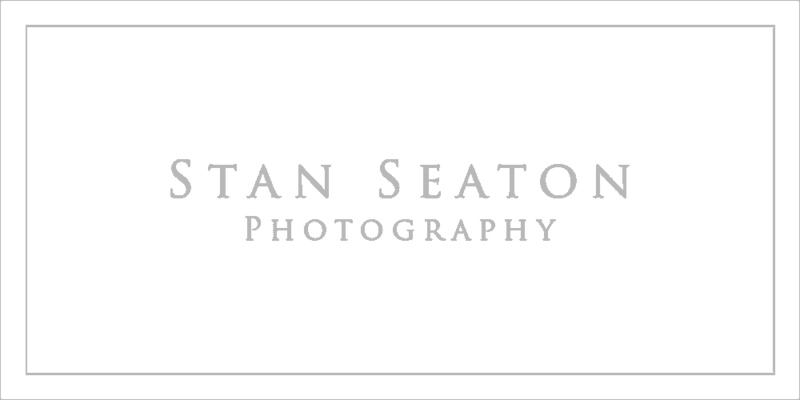 Take a look at our Why Choose Magnum page to see why. The images are of just a few of our products within Wynyard Hall, please contact us directly for further inspiration.